Here are our rates in euros for the year 2019, breakfast offered and tourist tax included. Prices are degressive depending on the length of your stay. These prices include the tourist tax of 0.80 € per adult per night. 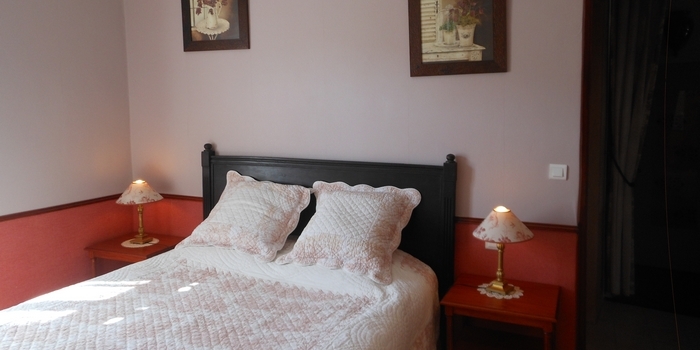 Extra bed : 20 euros per night. Possibility of children’s menu : 10 euros. Payment accepted in cash, paypal or credit card. Half board rates include room, breakfasts and dinners for 2 persons. For any reservation of 7 nights or more in half-board, recorded 3 months in advance, a 10% discount will be granted. The discount is no longer applied in case of modification or cancellation of the stay.